It can be tricky getting Unity and the Rift to work together the first time. Below are the steps that worked for me. You must have Unity Pro 4.5 or later installed on your system to build the Unity demo. Much of these instructions can be found within the Oculus Unity Integration Guide (part of the Oculus Unity SDK download). After installation, it will ask you to reboot (presumably this is for the new Direct HMD driver). Do that. Note: If a firmware update is available you should install that now. Note 2: If you want to set your height in a profile you can do that now also. Click Apply to save that. Now your Rift will appear as a normal monitor to Windows. For me, that also meant the Windows guessed the incorrect resolution. Low persistence reduces pixel ‘smear’ and motion blur. If you have a DK2, when running in extended desktop mode there is a good chance the refresh rate has defaulted to 60Hz – it needs to be 75Hz. A discussion about this is here and here. 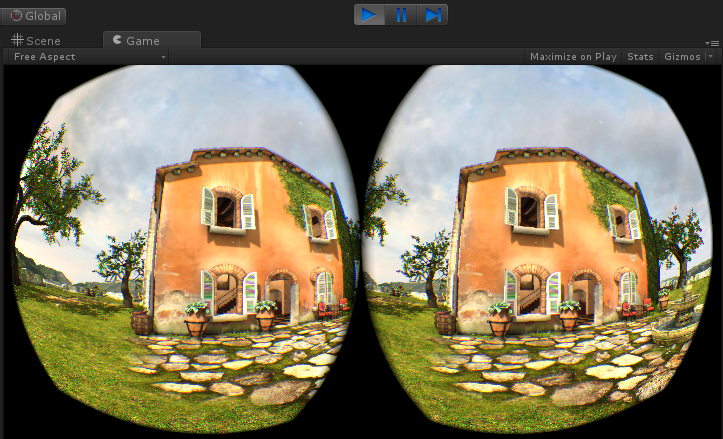 Open the Screen Resolution, right click on the Rift display, open properties. Under the Monitor tab, Set Screen Refresh rate to 75Hz. 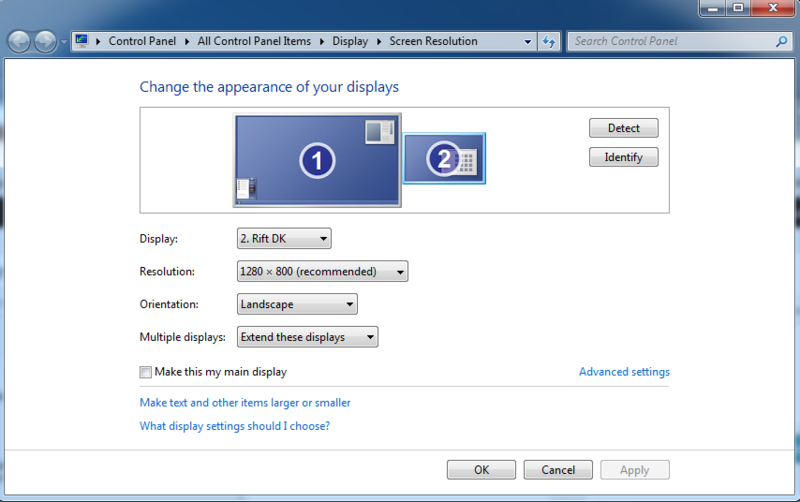 Right click desktop, open NVidia control panel, and under display you can select resolution and refresh rate. If 75Hz is not available you can click the customise button and enter 75Hz. Right click desktop, open Catalyst Control center, and under Desktop Management tab, choose Desktop Properties. Choose your Rift Display (Desktop 2) and set the Refresh Rate to 75Hz. I recommend copying both Unity packages to your Unity Standard Packages folder, that way they will both appear in the New Project Wizard. 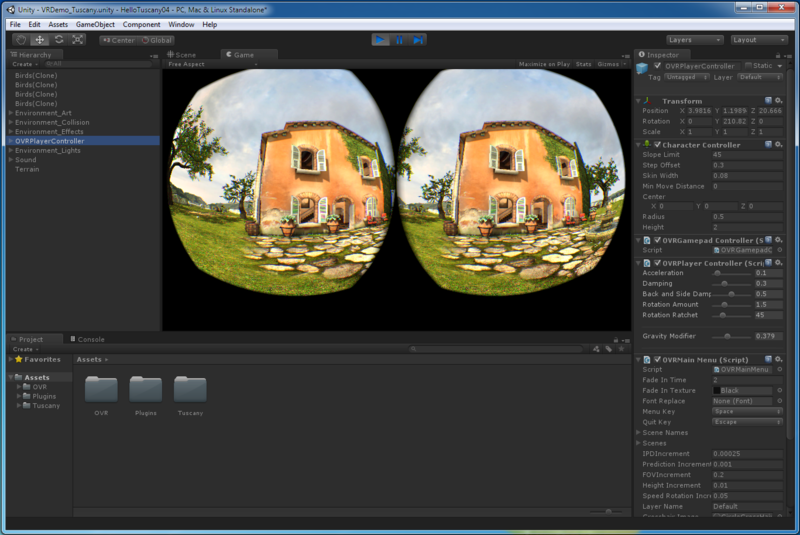 Copy OculusUnityIntegration.unitypackage and OculusUnityIntegrationTuscanyDemo.unitypackage to the Standard Packages folder which is in your Unity Editor folder. Note: If you don’t see it, make sure the folder is correct, view the properties on your Unity shortcut and verify the folder path. 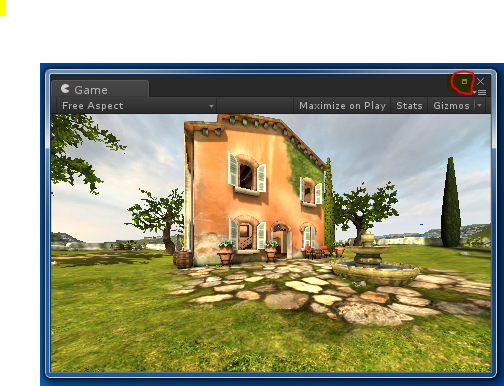 Launch Unity, and name your project (eg: Hello Tuscany) and checkmark the Oculus Tuscany Demo package. You need to make sure Direct3d 11 is disabled, otherwise you will see a black screen. screen will appear if you run it in direct mode. When you hit RUN you won’t see anything on your Rift, only in the main monitor within Unity. What you need to do is move the Game view to the Rift monitor in full screen mode. – Position your mouse just to the left of the maximise button (to the left of the close button). – Tap down (to drag), Hold your Rift to your eyes, and drag the game view onto your Rift until you see the mouse pointer. Only use “Free Aspect” with the Game View. Setting 16×10 (DK1) or 16×9 (DK2), or a specific resolution (eg: 1280×800) will result in a black screen. Re-open Unity, press PLAY button and put on your Rift. A couple of us have found that the Windows theme, Aero, forces the extended monitor to be 60hz for some odd reason. So switching your theme to “classic” or something else gave us back our 75hz DK2. Are you building turning OFF the check of “Use Direct3d 11″? 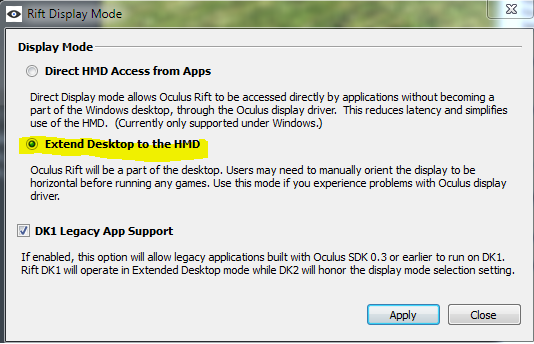 It seems that Direct HMD Access does not run in Unity Player at least if it does not build with DirectX 11. My game is built with DX11. This run also with Direct HMD Access. We have the extended desktop mode working in Unity but it really stutters. We have a Core i7 + GTX 780Ti + 16GB so it can handle a lot. Is there any way to reduce the stutter we are experiencing? Lesley.. I have almost the same rig and had lots of judder. Check out this thread over on the Oculus Forum. We go through a bunch of steps to fix it. I would try them all. I think this issue is temporary though. There is something wrong with the driver on the Oculus side and when that is fixed, I have a feeling all this will go away.